Apple’s Icon Ecosystem is an indispensable article, and/or resource by Chris Sauve (@pxldots) if you design Apple Macintosh iOS icons for a living, or are thinking about designing them at some point. I have designed a few iOS icons myself: Feedly (being the first), Extensive Font Fuse, (unused), Happiest (recent) and Macintosh app icons for Sifter, and it’s fair to say I would have found this superlative resource by Chris to have been invaluable during the research phase. Designing the icon is just one small part of the process. If you want your iOS icon to stand out, for the right reasons of course, then it’s paramount to do your app research before even thinking about starting the doodles, sketching and pixadoodling. The very least you need to look at are what app designs already exist so you can avoid ending up with similarly designed app icons. Studying app competitors so you can, hopefully, design something that pops a little more, or a lot more than those your app will be running against. Chris has put together this stupendously detailed and thorough examination covering a variety of Macintosh iOS and OS X app icons. It should hopefully leave you with some useful data to work with, and thoughts to ponder over, prior to starting your next project. 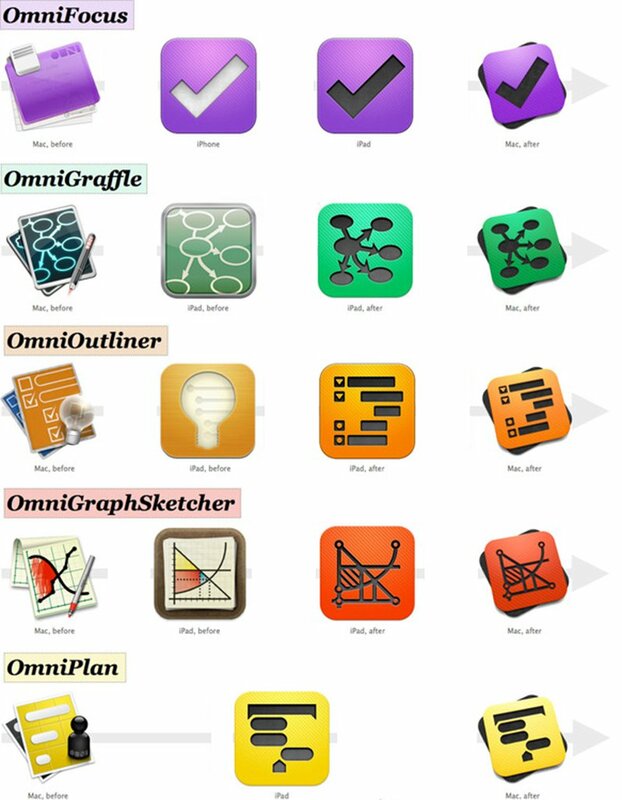 I am currently working on two major iOS icon app projects, so thank you Chris Sauve for taking the time to put this together. Who saw a Ghost on Halloween?